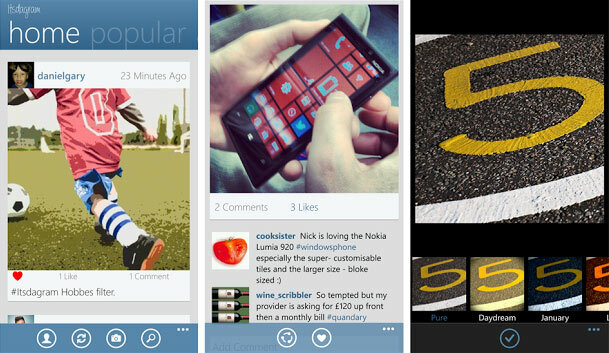 I found a best Instagram App For Windows Phone 8. The followers of the famous photo sharing service, Instagram, will probably be delighted. A new fully functional application has appeared on the Windows Phone Store: it is Itsdagram. Itsdagram is a much more accomplished application that had already made a brief appearance last weekend. Itsdagram is the only app which is fully featured Instagram client on the Windows app market. You can Register, upload, comment, like, follow, find your Facebook friends; All from Itsdagram! Itsdagram is available on the Windows Phone Store at a price of $1.49 and is only available for devices running Windows Phone 8. The developer has already announced a pro version and a Itsdagram – Instagram App For Windows Phone 8 free version with ads, it’s depend on the users which version they want. Change your profile picture and password. Use your favorite hashtags and users to your homescreen to keep track of them. The application is fairly well designed and it even comes to ask that a formal application could bring us more! Since it’s in version 1.2, has a few new features, dynamic tiles and the ability to save the images on your smartphone. Let me remind you that Itsdagram is still in beta (this app still have some bugs and other crashes), and costs $1.49 on the Windows Phone Store (only for WP8). 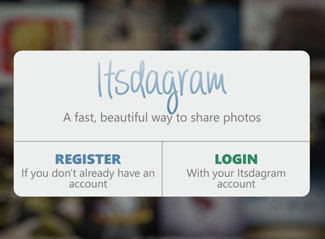 Itsdagram also uses the API of the social network for sharing photos. For fans of Instagram, this is the best Instagram App For Windows Phone 8 and the best solution to enjoy Instagram on your Windows Phone 8, available in two versions, with and without advertising, the application is to test urgently. If you are a Windows phone user then which Instagram client you use? Share with us via comments below.